We’ve proven that Jesus actually existed, but was He actually worshiped as God during His lifetime? [audio:http://www.truthrevolution.tv/show/TS-0009.mp3]No Flash Support? Use this Audio Player! Dave: Did Jesus actually exist? We’ve already looked at a few ancient historians. Jeff: And there are more. We can’t cover them all. But Pliny the Younger is an interesting Roman author and administrator. Dave: And he was born around 61AD. Jeff: From his writings and Judgments, we can clearly see that Christ was worshiped as a deity by early believers. Most likely because of the Resurrection, which he refers to as “excessive superstition”. Dave: So HE didn’t believe, but he confirms that there were people worshiping Jesus as God very early on. It’s not like this was a superstition that grew over the last 200 years. Jeff: Right. 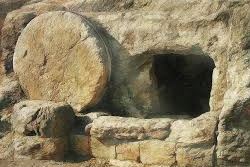 Just a few years after Jesus’ death, we have evidence that He was worshiped. But Pliny also mentions communion which Jesus instituted. Dave: Right. In Matthew 25. Jeff: and he talks about the Moral Rules that Jesus taught about. Dave: That’s MORE confirmation from ancient historians that Jesus Really DID exist.